You won't find a lot of people surprised that Montana beat Weber State on Tuesday night, but I bet it is harder to find people who thought the win would be so convincing. Montana topped Weber State 66-51, sealing the regular season title and ensuring that the conference tournament will be going through Missoula. There were a lot of reasons for Montana's win, but two things stick out the most. One, Montana's defense harrassed Weber State all night long, and Weber State did not get many open looks. Even when they did, they didn't convert them. Weber State shot an 30.2% from the field, and an astounding 3/26 from downtown. Damian Lillard and Scott Bamforth combined to shoot 2/19 from beyond the arc, which is, frankly, shocking. I thought Montana would have to force some turnovers from their 1-2-2 press, but WSU only gave it away 11 times. But the press did take them out of their rhythm. At times, it looked like Weber State had never seen a zone defense before. It was a flawless defensive effort from Montana. The other key was that Will Cherry simply outplayed Damian Lillard. Plain and simple, he was the better player tonight. He was much more aggressive offensively, got his teammates involved better, and was better on the defensive end. The elephant in the room for the Wildcats is this - as awesome as Lillard has been this year (and make no mistake, he has simply been excellent), he has struggled in their biggest games. With Montana clinging to a 50-45 lead late in the game, it was Cherry that stepped up and made the plays. First, he had a sweet step-back jumper over Lillard to move the game to 52-45. It was a big-time play by a big-time player, right when his team needed it the most, because WSU was getting some momentum. The next possession, he got the ball but was outnumbered, and looked like he was going to pull it out. As the WSU defense relaxed, he quickly reversed, and got right to the rim for a layup. It was a smart, athletic, game-ending move that put the Grizzlies up 9, and Weber State didn't get closer the rest of the way. In short, those are the plays we thought Lillard would be making, but it was Cherry making the plays at the end of the game. Cherry finished with 23 points, 4 assists, and was the point man in the zone all game long. He controlled the Grizzlies offense. There is no praise to high for how he stepped up in the biggest game of the season. I have a lot more thoughts on the game, but wanted to end with one other key. Early in the first half, Derek Selvig picked up his second foul, and Kyle Tresnak began going to work. He was unguardable one on one early in the game, and had six quick points. Then, he picked up his second foul, and to me, that was the turning point of the game. Momentum changed, and it opened the door for the Grizzlies to bring in Mike Weisner (rather than sticking with Eric Hutchison), who provided a huge spark in the first half. Improbably, this was huge. 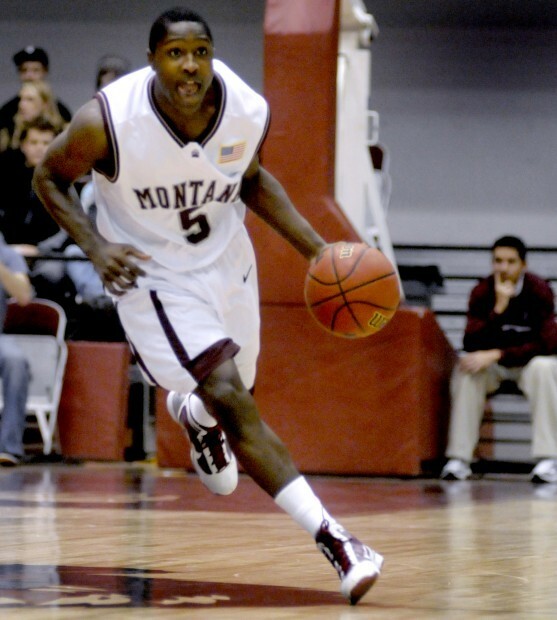 Montana ends the year at 15-1 in the Big Sky, and they have now won 12 straight games, and 18 of 19. They become the favorite now in the Big Sky (taking away that which has belonged to Weber State all year), and they will host the tournament next week. Weber State drops to 14-2, and you can bet they will take an "us-against-the-world" mentality into the conference tournament. It is going to be a really fun conference tournament. Weber State: NIT! NIT! NIT! An observation I had being at the game: When both teams were shooting warm-up shots before the game started Weber looked incredibly tense and unhappy. Meanwhile Montana was almost all smiles and laughs before the game started. If somethings similar happens at the next outing I think Montana will come away with the Championship too. Great observation, thanks for sharing... you almost got the sense watching the game that Weber State was nervous, which would go along with your observation. Definitely they are going to need to come out a lot more loose and relaxed if they meet again. Idaho State To Offer Head Coaching Job? The Season a Moral Victory For Sacramento State?